FATAL: A mother was killed while taking her two children to school this morning. A 12-year-old girl was taken to hospital and a 15-year-old boy was treated for minor injuries. A 12-YEAR-OLD girl who was critically injured after a head-on crash this morning has died in hospital. Police confirmed that the girl had passed away as a result of the injuries she received in a crash that also claimed the life of her mother. 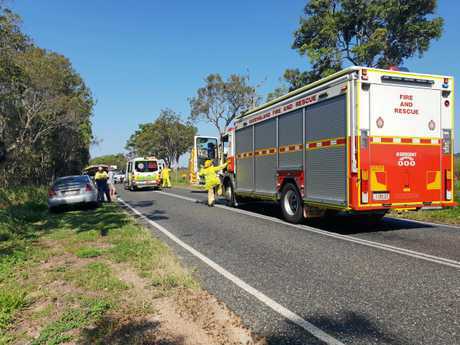 The girl had been rushed to Bundaberg Hospital in a critical condition following the crash that occurred on Gin Gin Rd, in South Kolan, about 7.40am. The woman was driving two children to school when their car collided head on with a truck. Police investigations into the cause of the crash are underway. Police issued a statement that said investigations into the cause of the crash are underway. "Sadly, a 46-year-old woman driving the car was pronounced deceased at the scene and a 12-year-old girl was transported to the Bundaberg Base Hospital in a critical condition and was pronounced deceased earlier this afternoon. "A 15-year-old boy who was also a passenger in the car received minor injures and the man driving the truck was not injured as a result of the crash. "Police are seeking anyone that was travelling in the area at the time and may have dash cam footage to contact with them. A 46-YEAR-OLD woman is dead after a school drop-off run took a tragic turn. 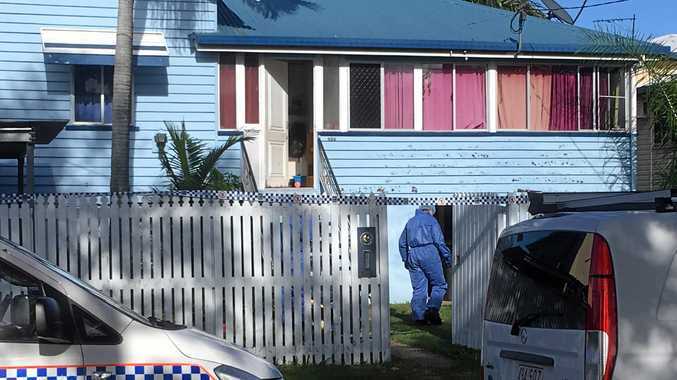 Speaking at the scene, Bundaberg Police Inspector Pat Swindells said emergency services responded to the traumatic scene shortly before 8am. "At about 7.45 this morning a two-vehicle traffic crash has occurred on Gin Gin Rd in South Kolan," he said. 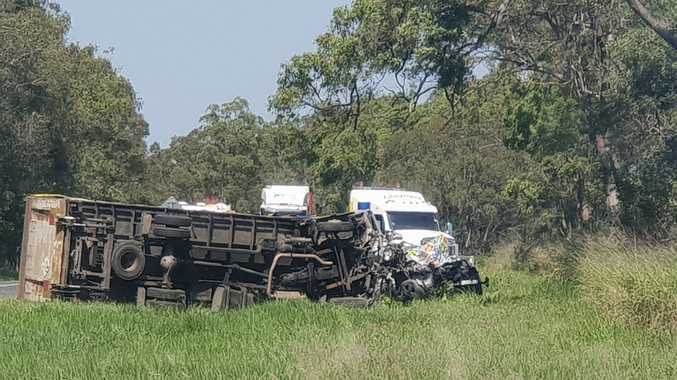 "As a result of this crash, a 46-year-old woman has passed away and a 12-year-old girl has received serious injuries and has been transported to Bundaberg Hospital. "I've been advised that there was three people in the car the woman was driving, she was taking them to school. "The young 15-year-old boy in the back seat, he hasn't received any significant injuries. "The truck driver, we believe, is uninjured but suffered from shock." Inspt Swindells said it was too early to identify the cause of the fatal incident with a police investigation underway. "Police have attended the scene with the other emergency services and are currently undertaking investigations as to how the traffic crash occurred," he said. "We'll be looking at three things - we'll be looking at the drivers, the road conditions and vehicle conditions and we'll have experts coming up here to conduct those investigations. "Any fatal traffic crash or any serious traffic crash is very traumatising to not only the families involved but all the emergency services who respond. "It's a situation where we ask people to drive to road conditions, and again, observe the fatal five. "I'm not attributing any blame to this traffic crash at this stage to any of those in investigation and await for our investigators and experts to identify the cause. "It's extremely traumatic for everybody involved and I can only feel for the first responders and the first people who drove across the traffic crash and found the scene. "There have been a number of witnesses identified, and as part of our investigation they will be interviewed. "I would just like to thank all those people who did stop and help the people at the scene who have left. "If there's any people who have any dash cam footage or witnessed the accident but didn't stop, please come forward and speak to Bundaberg police." The road remains closed. Updates to follow. POLICE have confirmed a woman in her 40s has died while taking her two children to school this morning. A 12-year-old girl is in a critical condition after receiving injuries to her head, pelvis and leg. She has been taken to Bundaberg Hospital. A 15-year-old boy received minor injuries. The driver of the truck was uninjured but in shock. 8.26AM: EMERGENCY services are at the scene of a a two-vehicle head-on collision along the Bundaberg Gin Gin Rd. The crash between a car and a truck happened shortly before 8am near Sharon and South Kolan. Initial reports are that two people are trapped inside a vehicle. GIn GIn Rd crash : Emergency services on scene of serious crash. Motorists are being urged to avoid the area with Bundaberg Gin Gin Rd closed in both directions and significant delays expected.